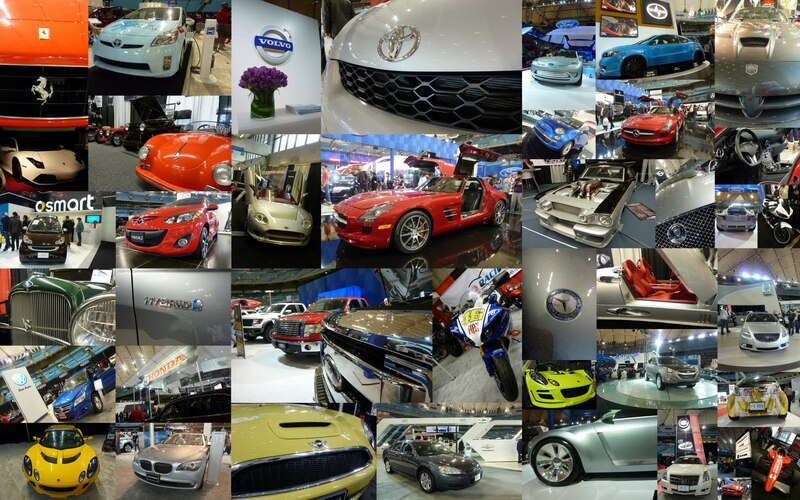 Our family went to the Vancouver International Auto Show today. Usually my dad goes by himself every year but this year my sister managed to score four free tickets. There were a lot of people that attended. We entered almost at opening time around 12:15 and stayed until 5:30. I didn't realize I could take so long looking at cars! It must be all the shininess and newness of the cars. There was a Lamborghini that was already sold! There were a lot of cars to see and lots of freebies to get too. I happened to be at the right place at the right time and got to participate in the CIBC Drive Smart demostration. All I had to do was ride a little bike around a track and they gave me a $25 Petro-Canada giftcard as thanks! There were a couple of cars I liked. I liked the Ford Fiesta, SmartCar and Honda. Oh the Ferrari was nice too. The Ford Fiesta is my favourite car (the same one I saw at Oakridge). The second is the SmartCar. The Fiesta costs $12,999 and the SmartCar I think around the same. Why not have the extra seating for the about the same cost? I like the green coloured one but the blue I have a picture with is pretty sweet too. It matches my outfit. I also like this BMW sports bike. I drool over it. All in all it was a nice family outing and a good experience. I'd probably not go again for some time but I'm glad I got a chance to go this time. I even put up some of the posters that I got from the show in my room. The Lexus poster is especially nice. 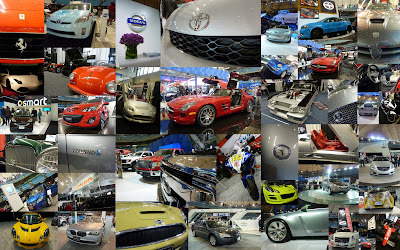 Here's K's post about the Auto show. I don't think it was a Lamborghini that was sold, it was a Lotus. It was a green Lamborghini next to the Bumblebee Lotus.